You might have to look very closely, but my skirt for today actually features swimming fish! 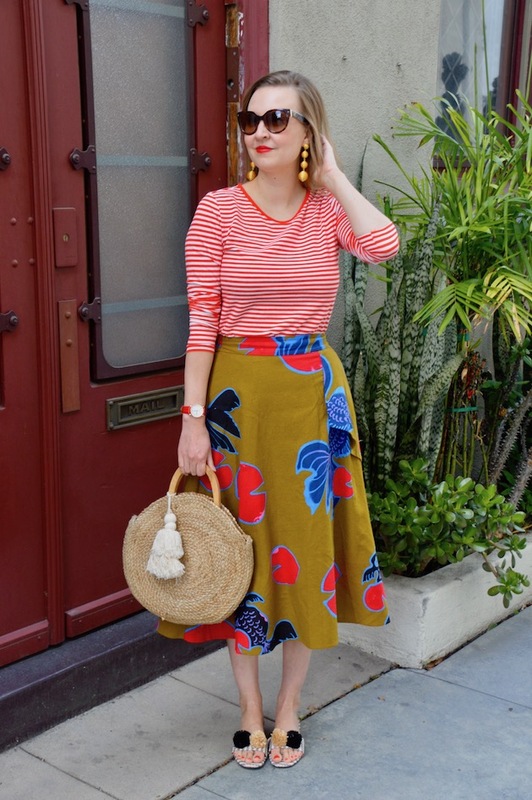 The fish were probably the first things that drew my attention to this Betta A-line skirt from Anthropologie, as I've always loved fish. Plus, the skirt is by one of my favorite designers, Eva Franco. Another reason for loving the skirt is that it reminds me of the things that I used to wear in college. I had a ton of these longer length skirts that had sort of a Bohemian feel to them "back in the day". Wearing the skirt definitely made me feel young again, almost as if I was taking a stroll down memory lane! 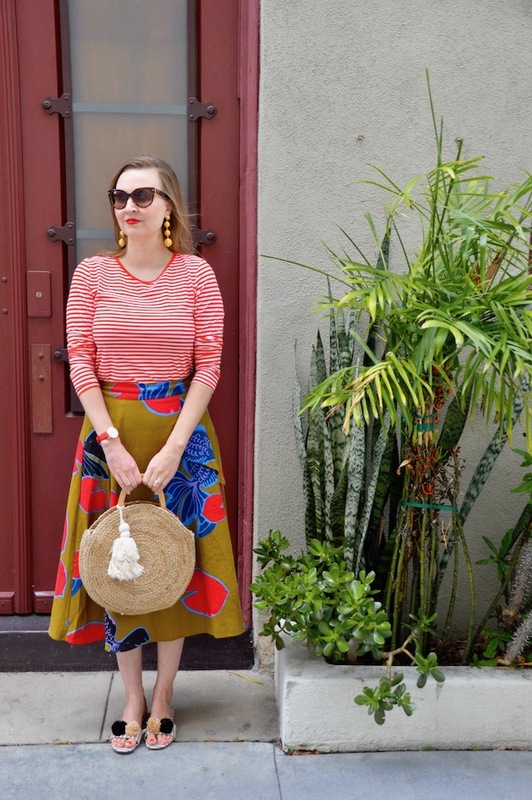 Regarding a Bohemian feel, I decided to play up this aspect of the skirt by pairing it with some straw accessories. 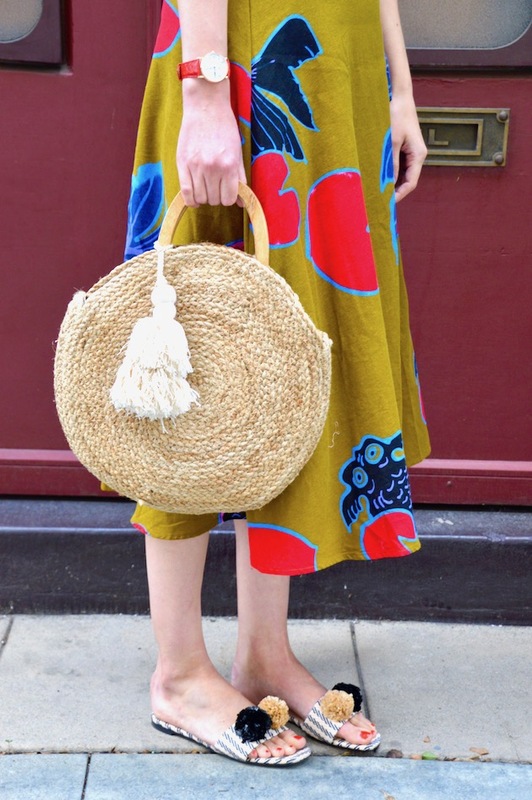 Even though I just purchased this round circle tote, it's now become a staple in my spring wardrobe because it holds everything, it's cute, and it also has a tassel! To match, I also broke out these new pom pom straw slides from H&M. As of late, H&M has come out with some really cute shoes and they are all so reasonably priced. So, as you can see, from head to toe I am channeling a little bit of Bohemia, not to mention a bit of nostalgia! 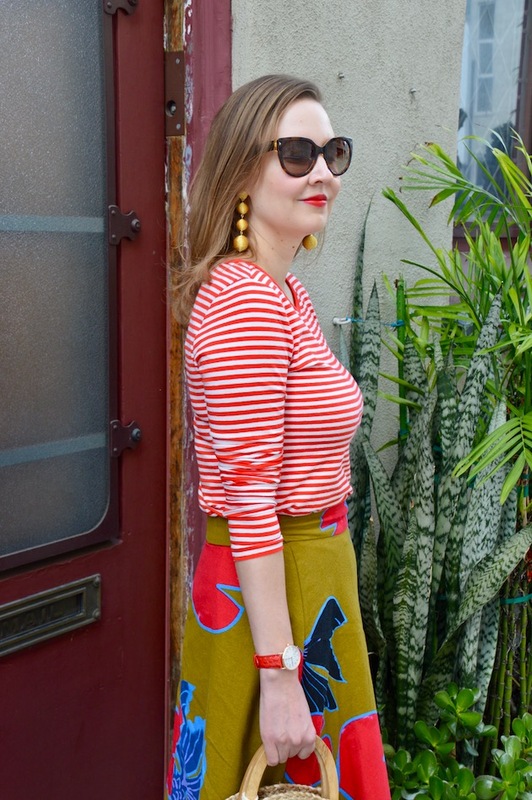 LOVE these stripes and the fish print together. And the matching lipstick! 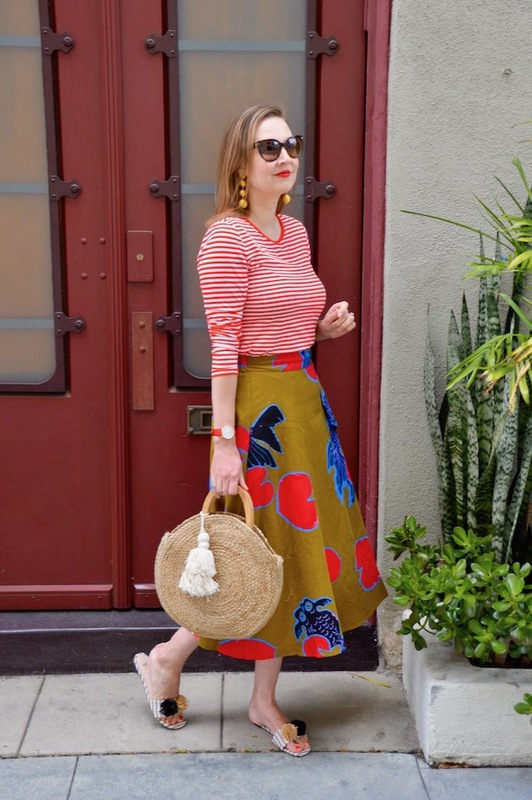 This coral-y red makes me ready for summer and more brights. Anthro always has the best patterns! 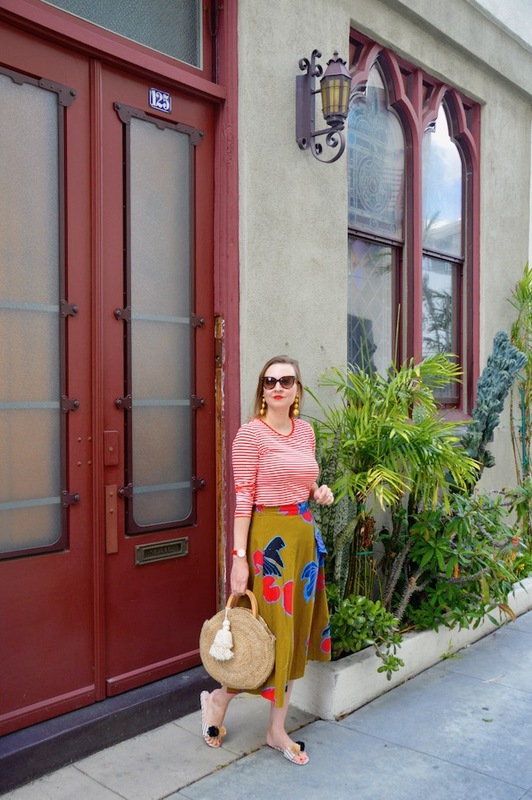 I love this skirt and the colors. 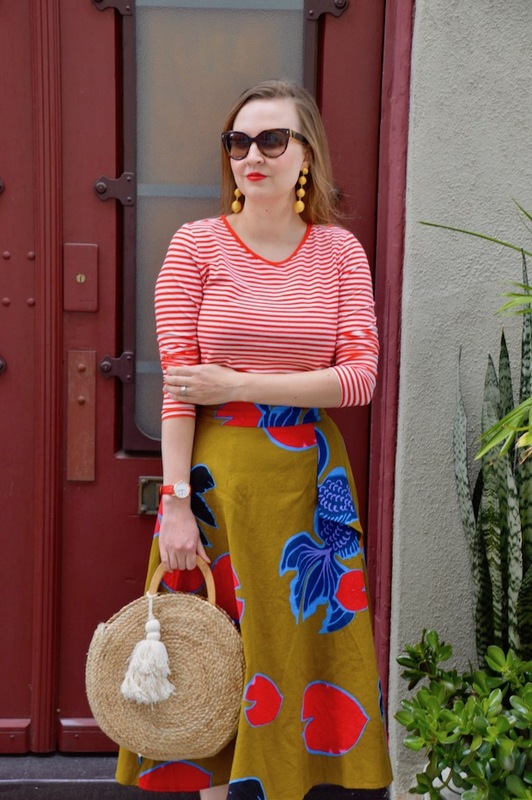 You totally styled it perfectly with the red striped top! I adore the entire look! 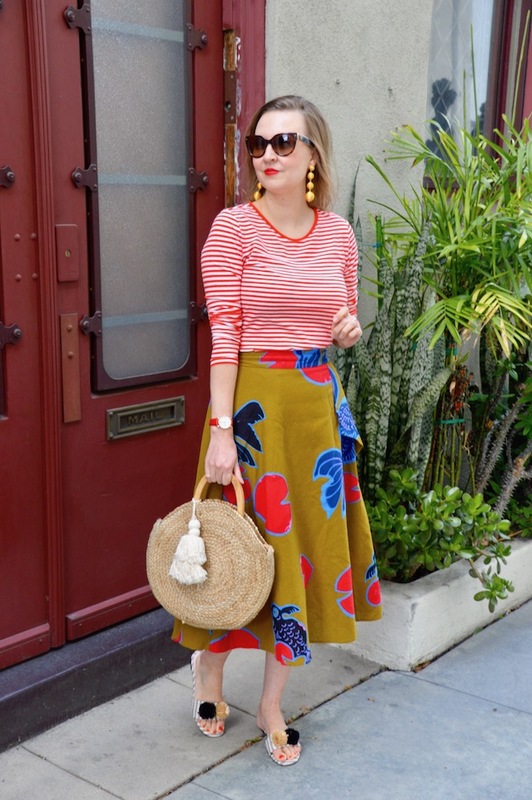 Such a great pattern mix!